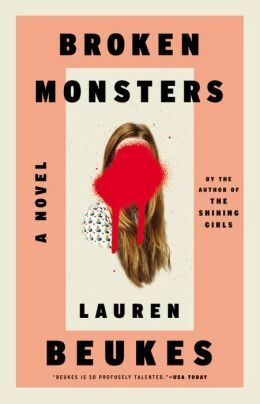 Last year, Lauren Beukes burst onto the playing field of crime fiction with her novel, The Shining Girls. While that work was by no means her debut, it was the first that could be classified (predominantly) as a tale of crime – in that book’s case, the story of a time-traveling serial killer. But, as is her trademark, The Shining Girls was also much more than a crime novel. That trend of mixing genres continues in Lauren Beukes’ newest release, Broken Monsters. Lauren Beukes is a South African author who enjoys blurring the lines between genres. If you are looking for traditional plots and easily digested concepts, Beukes is not the author for you. Broken Monsters is a very adult novel, in the sense that the themes and ideas which run-through and recur are mature, deeply developed, and thought-provoking. 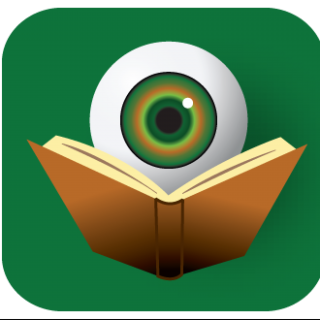 In a testament to her skills as a writer, however, even with these lofty ideas and nightmarish images, Broken Monsters is never difficult to read and never less than engaging and addictive. If one were to attempt to distill Broken Monsters down to one main idea, it would likely be as a novel which presents itself as a love song to a city. In this case, that city is Detroit, Michigan. Broken Monsters does not shy away from the current traditional images of Detroit – as a city in ruin; rundown and depressed; and crime-filled. All of that is in there, but for a tale built around this depiction of squalor, it is also oddly hopeful and readers will feel a sense of ownership over the city of Detroit. In much the same way as Carlos Ruiz Zafón’s The Shadow of the Wind could not exist outside of Barcelona, Broken Monsters is firmed rooted in its setting of Detroit. The characters in Broken Monsters at first appear to be part of their own, individual short stories. But then, with only the magic of Lauren Beurkes’ writing, they begin to intertwine, reflect each other and ultimately bind together to create a unique whole. Yes, it basically is the story of a detective (Gabriella Versado) on the hunt for a killer who is leaving horribly mutilated bodies in city warehouses. However, to narrow down the focus of the novel in such a way would miss the point. Each of the myriad of characters in this large cast represent the concept of being broken in their own way, similarly to how their surroundings are in shambles and disarray. It cannot go unmentioned that Broken Monsters contains a vastly diverse casts of characters – to the point that it feels totally foreign, while at the same time being completely familiar. Beurkes should be commended for walking the walk towards true diversity in literature. By defying the conventions of any one genre, Broken Monsters becomes of mash-up of all genres; it is almost a melting-pot of sorts. Lauren Beukes knows that this is where her strengths lie. Let’s end here with a quote that opens a chapter appearing about a one-quarter of the way into the novel: “Everyone lives three versions of themselves; a public life, a private life, and a secret life.” With our modern lives becoming more and more driven by social media sites, Lauren Beukes has a deep understanding of all of these types of lives and wields them to her advantage to tell a tale filled with suspense and guided by humanity. 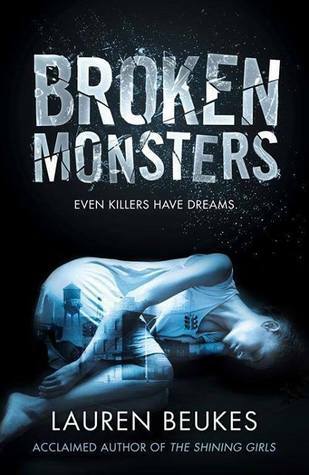 Broken Monsters is just the latest in what is sure to be a long and unpredictable career for this talented author. _____________________________________________________________________ Disclaimer: A print galley of this title was provided to BOLO Books by the publisher (at BookExpo America). No review was promised and the above is an unbiased review of the novel. Great review, Kristopher! I loved The Shining Girls and am looking forward to reading Broken Monsters soon.